I am over the moon excited to introduce you to our new wedding invitation designs! This first one is our Shape Wedding Invitation Suite. 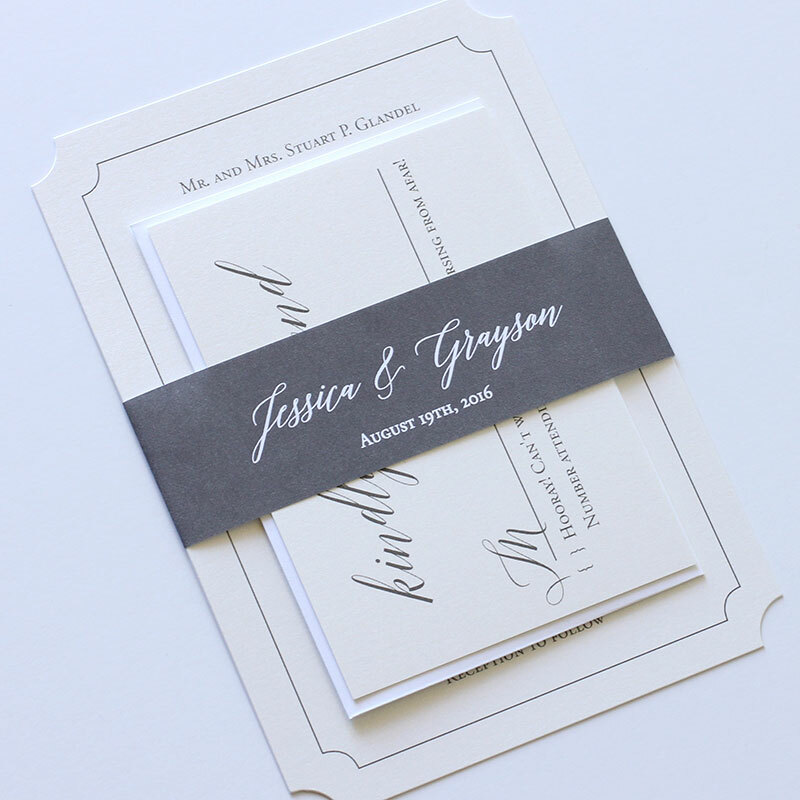 The invitation has a unique inverse shape on the corners and is flat printed on gorgeous shimmery metallic pearl stock. 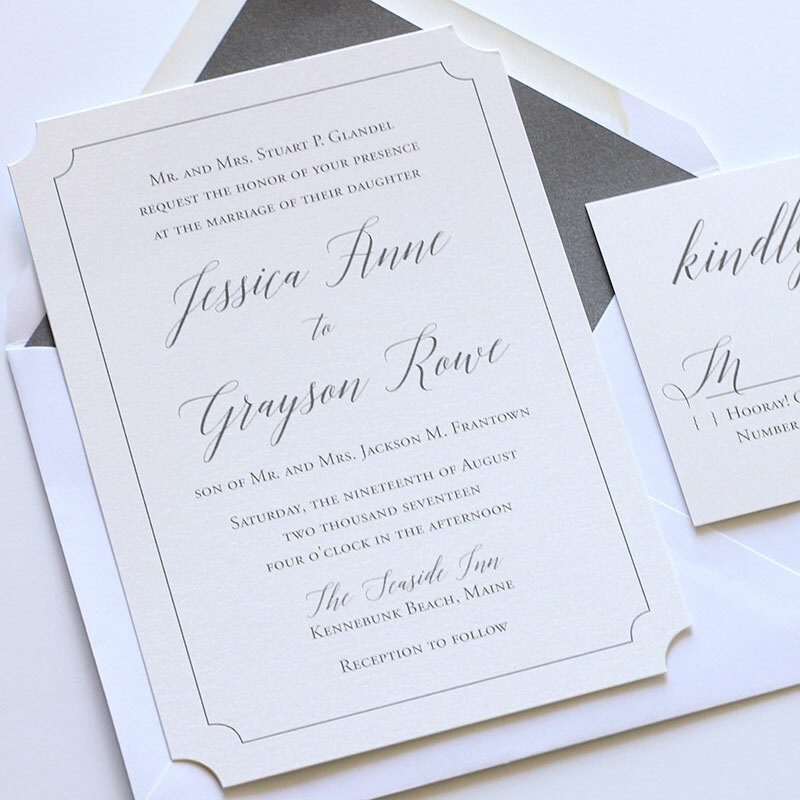 The gray shimmers beautifully on this stock and really stands out with this gorgeous calligraphy font. But of course, you can customize and print with any color. And any of our fonts! Did you know that belly bands come with EVERY one of our digital/flat printed suites?